Are you are looking for a real Outback experience? Heading up "the centre" or across the Simpson Desert, or arriving from from out in the desert somewhere - and in need of a good hot shower? Or have you just heard about the famous "OODNABURGER" and want to have a go at one of them? We are licensed premises, takeaway and restaurant and have a good selection of beers, wines and spirits. We have a variety of accommodation from camping to self-contained units. There is a camp kitchen available for coaches and large groups and various types of accommodation to chose from. All rooms are air-conditioned and have satellite TV. 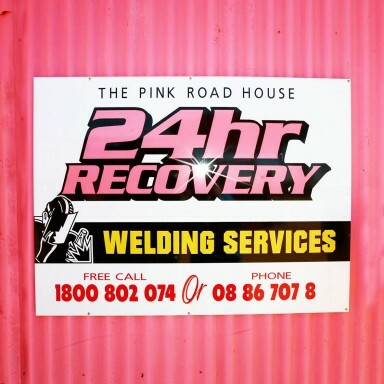 As well as fuel and oil supplies, we also have a 24 hr recovery service, welding and mechanical repair services. We have over 150 tyres in stock and have all tyre repair equipment. It's nice to know that if you do happen to strike trouble, that help is at hand. Get us on UHF channel 7 repeater. We are an Australia Post Office servicing the local community with typical agency services. 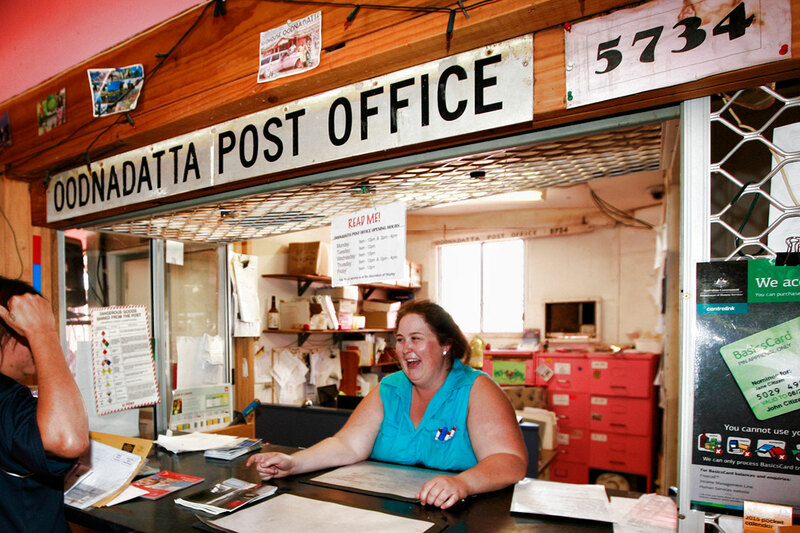 So while you are in Oodnadatta send a few postcards and they'll leave here with the Oodnadatta postmark, making your souvenir a special momento. WiFi's free in the roadhouse. Subscribe to our news while you're at it?